Check This Property Out!! This is what everyone is looking for!!! This property has been recently updated with a new kitchen, new master bathroom, custom walk in master closet, new floors throughout, brand new roof, encapsulated crawl space with dehumidifier.... New New New ..... and this property is just minutes to Wrightsville Beach!!!! Located in Kensington Place this community offers the best of all worlds to you and this home is turn key ready for the next buyers to enjoy this location and updates!! There is a two car garage, a storage building and large floored attic space for all of your storage needs. You will enjoy the large covered and open back porch that overlooks your spacious back yard. The open floor plan overlooks into the living room with high ceilings and gas fireplace!This property incorporates so many good things with the floor plan, the updates, selections and LOCATION, LOCATION, LOCATION! Come see this property today before it's gone!! 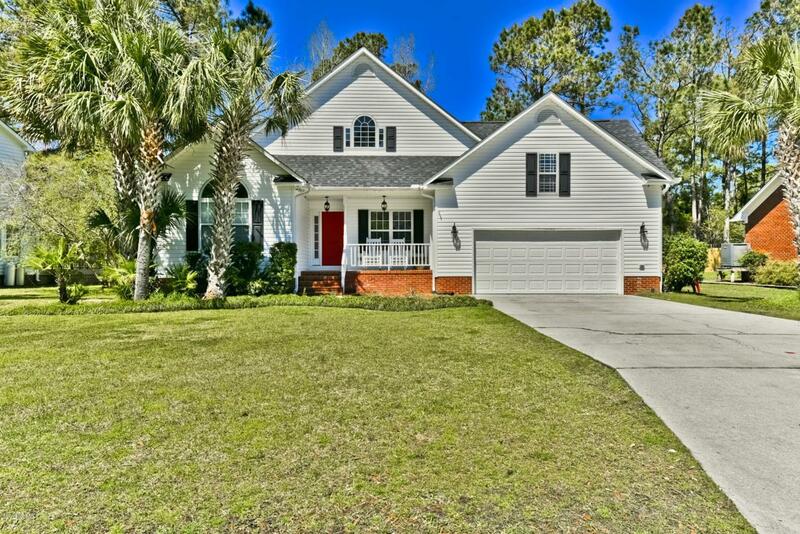 Listing provided courtesy of The Cheek Team of Keller Williams Realty-Brunswick County.